Thanks for visiting Kristina Brenke. Here is some of the nitty gritty. If you have any questions about our policies please don’t hesitate to contact us. We do our best to keep the online store up to date, but sometimes we may be out of stock of your choice. If this occurs we contact you as soon as possible to let you know and discuss backorder possibilities or arrange partial or full refund of your order. We use a courier delivery service to ensure all packages are delivered safely. Please keep in mind we can deliver to business addresses if that is more convenient, and if you are not at home at time of initial delivery you can specify a re-delivery or give authority to leave. Oversize items require a special delivery quote, we will contact you with exact delivery charge. We offer collection in store. Choose ‘collect in store’ at checkout and no shipping will be applied and we will hold your order ready for collection. We ship internationally. International customers can checkout with chosen products, minus the postage charges. We then contact you via email with the postage amount. Please ensure your email address as set up in paypal is correct to enable us to contact you. Once you receive the postage costs, you can then choose to go ahead with the order, or cancel and receive a full and prompt refund via paypal. Please also of course feel free to contact us before checkout to receive your exact postage quote before checkout. Our standard international post is Registered Airmail. Kristina Brenke cannot take responsibility for loss or damage by local postal services. You will be sent your parcel tracking ID via email once shipment is made. For international customers some countries may charge customs and duties for your parcel. These charges are payable by you not by Kristina Brenke. If there is any sign of damage externally ask the courier to make the note ‘Parcel showed signs of damage’ on his delivery run sheet. Upon opening package if there is item damage please retain all packaging, document the damage where possible with photos, and contact us immediately. We hope you love your item, however, if you do wish to exchange it we are happy to offer a return for exchange or shop credit service. Requests for exchange or shop credit must be accompanied by proof of purchase and need to be made in person or by email or telephone within 14 days of purchase or receipt of goods. Shop credit does not expire. Proof of purchase can include the EFTPOS receipt, the emailed tax receipt, bank account excerpt, or specifics on date of purchase. 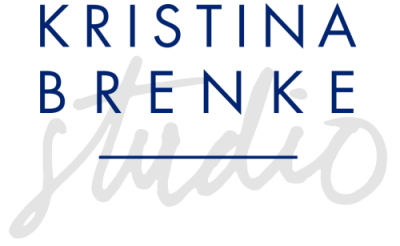 Kristina Brenke reserves the right to refuse an exchange or return without adequate proof of purchase. Telephone/email requests will receive conditional approval dependent on receiving the item back in store in as new condition within 14 days of conditional approval. Exchange items must be in as new condition and suitable for resale. Any postage costs applicable on change of mind exchanges is at the expense of the customer. Shipping costs and custom duties (where applicable) are non-refundable in the case of return for exchange, and return shipping costs for return for exchange are at customer cost. There is no return or exchange on discounted items. All ‘on sale’ purchases are final sale. Magazines, books and personal care items such as soaps are exempt from return for exchange. We can refund items if they are defective, or the incorrect item has been sent in error. In these cases please contact us within 14 days with details of the problem. Once the damage or error is confirmed we can refund you for the item plus all shipping costs. We will refund you via your original method of payment or if you prefer can provide shop credit that does not expire. All products are priced and charged in Australian Dollars (AUD). Fees from your personal bank may apply for conversion if you are purchasing goods outside Australia. See your bank for fee details. 10% GST is applicable for Australian customers, which is included in displayed online store prices. International orders are GST-free. The GST portion of international orders will be refunded soon after checkout. Our online store accepts credit and debit card payments via paypal. Australian customers can also choose to make payment via bank transfer or telephone on checkout.